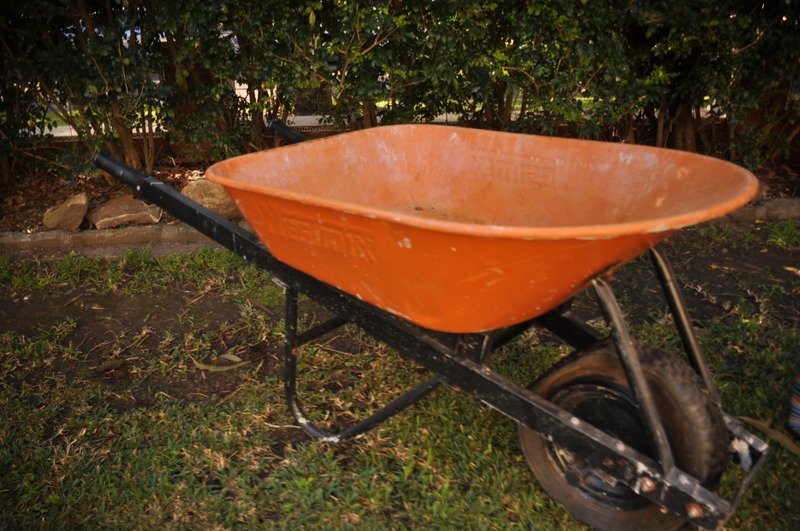 I had this old wheelbarrow and its tyre became flat. I couldn’t figure out how to pump it and after taking it back to the store I bought it from to see how I could get a new wheel, I was told it was easier to get a new wheelbarrow. Rather than throw it out, I decided to upcycle it into a mobile garden with the help of my kids. The great thing about having a mobile garden is that you can move it to suit your needs. For example, there are places in my garden that are very shaded in winter and other areas that would be too hot in summer. I can use the wheelbarrow to move the garden to suit the season. This became one of our projects during the school holidays. 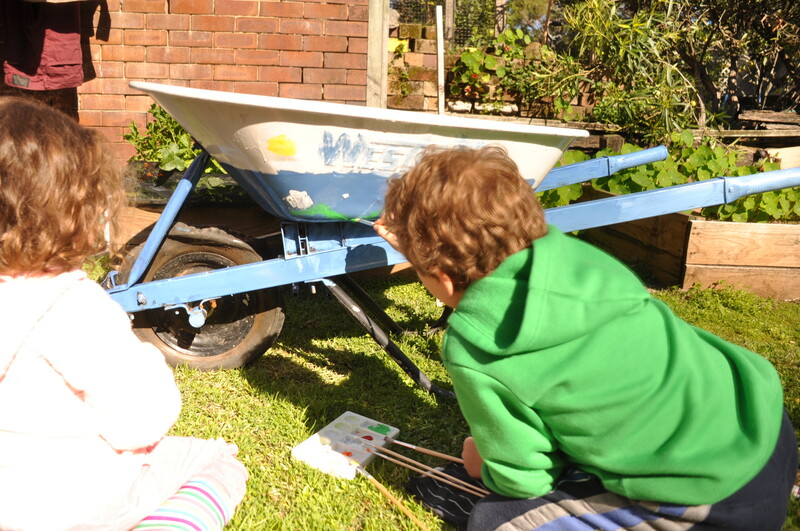 First we painted it – they chose all the colours and actively painted the wheelbarrow with little assistance from me. We then visited a gardening store where each child got to choose a vegetable and a flower to plant in the wheelbarrow. They chose some interesting ones: cabbage and cauliflower and some regular ones like carrot and strawberries. I planted some Chinese greens too because they’re fast growing. 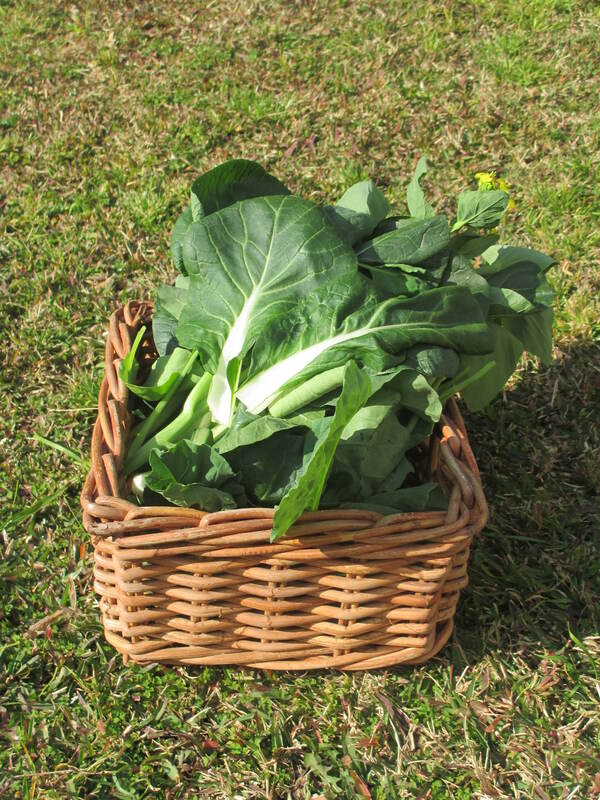 It is only when you have your own garden that you realise the effort and time it takes to grow food. 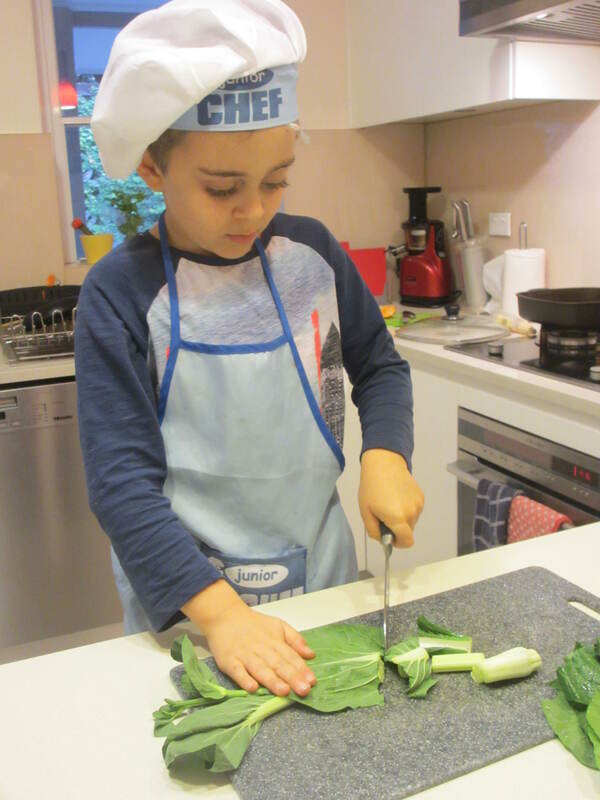 So I think one of the positives about growing food with children is to teach them patience. In spite of this, the fast growing and not likely to fail Chinese greens were also planted to keep the kids interested. 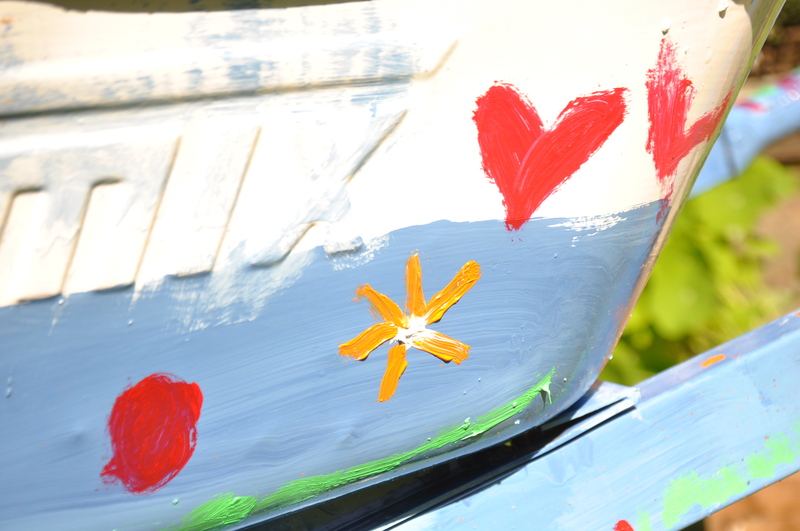 The beauty of this activity is that the kids were involved in the whole process. They were so excited to choose the colours and to paint it and then again to choose their own flowers and vegetables to plant. The flowers as well as attracting bees, were planted because they add colour and are pretty. They’ve really loved this activity and have taken great pride in it. My daughter almost daily visits her strawberries and counts them. 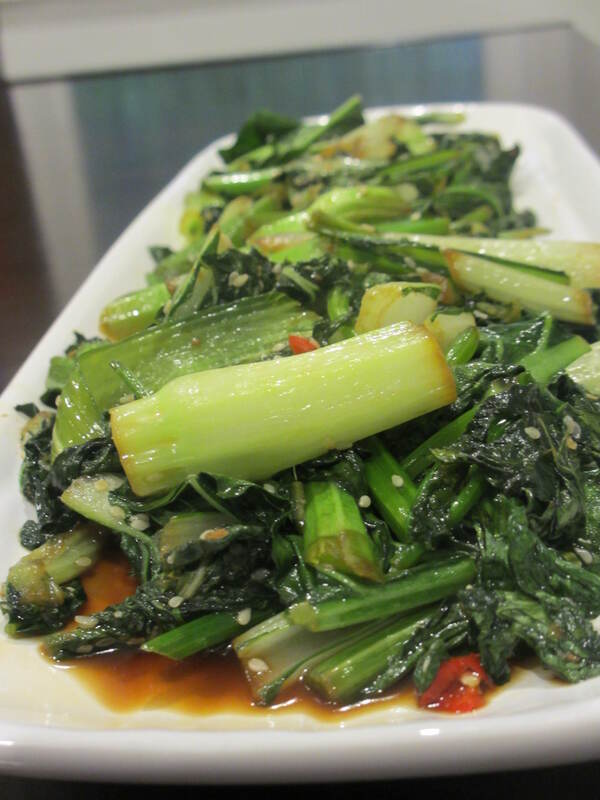 After we harvested the Chinese greens, I had my son help to cook it up and we had it for dinner. So another benefit is that they’re getting healthy eating habits too. I understand that not everyone has a house or access to space to grow food. 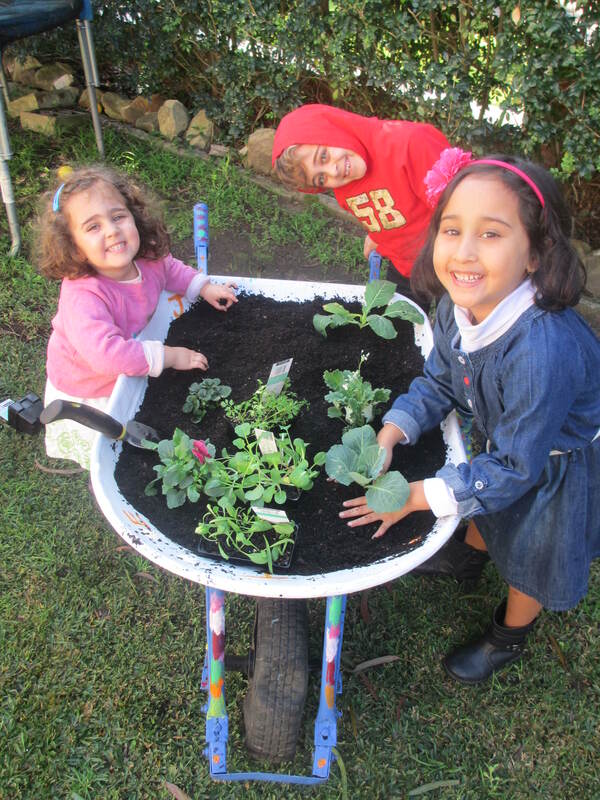 Many schools have gardening clubs, so kids can become involved there. At home, it’s possible to grow some herbs in the kitchen, or if you have a common area, you can help to start a verge garden or community garden of sorts. Many edible plants grow really well in pots on balconies. 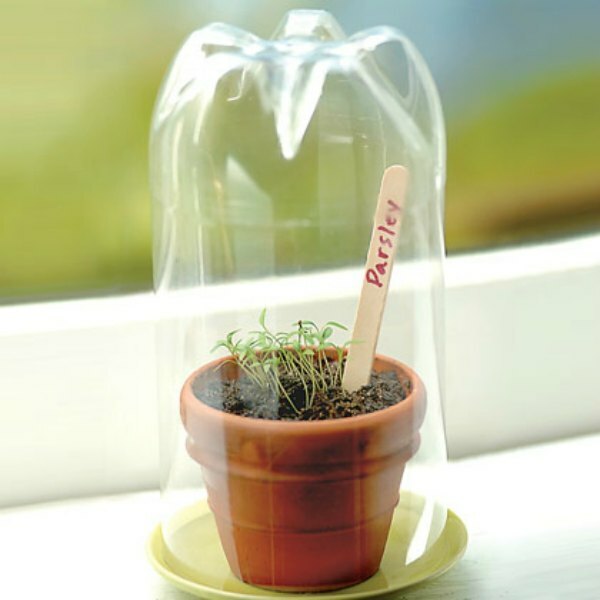 You can even make a mini greenhouse using an old plastic soft drink bottle. I think the important thing is to be creative. Look at what resources you have and start a project today! ~ by em0navari on September 1, 2015. This entry was posted on September 1, 2015 at 11:33 am and is filed under Gardening, Green Home, Kids Stuff, Playtime, Recycling.You can follow any responses to this entry through the RSS 2.0 feed.You can leave a response, or trackback from your own site.